Brannon is a Senior Loan Officer and has been with us for 12 years. 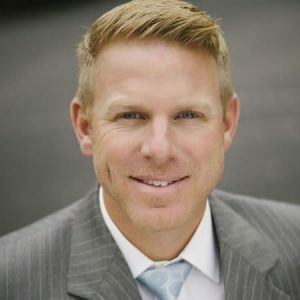 After graduating Carson-Newman University in 2002 with a Business Finance degree, he knew that he wanted to be in the Mortgage industry to help people through the process of getting a home loan. Utilizing his financial planning education combined with his diligent approach in ensuring he matches applicants with the right product and terms for their specific situation, his customers enjoy the peace of mind in knowing that they have selected a loan that fits their needs. Brannon has been married to Brooke since 2004 and has three children Reece, Rylee, and Will. He enjoys spending time with his family as well as playing golf and watching football games. I highly recommend Brannon Taylor to anyone searching for a professional Lender. Without Brannon, I would not be a homeowner today. I was a first time buyer with no clue on how the process worked. Brannon walked me through the lending process step by step explaining every little detail including how I could improve my credit score and financial situation prior to applying. He then went out of his way during my home search and negotiations to point out tips and recommendations. Too bad he couldn’t have been my realtor as well!